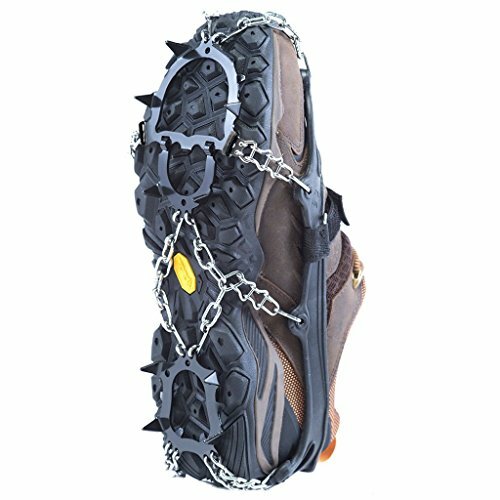 Whether you are an avid climber / hiker and you always love the adventurous path or you just want a high quality or both, we got you covered with a fine selection of some of the best ice cleats on the market. From affordable to expensive we covered a large variety of cleats while keeping it simple so you won’t leave our site with at least an idea of what you might want to buy next. Without further ado, let’s see which are the best ice cleats currently available on the market. This is probably the best pair of cleats when taking into consideration aspects like the value for the money, quality and reliabilty. They are small, versatile and easy to carry around with you whenever needed. Since they are easy to take off you can dispose them whenever not required. 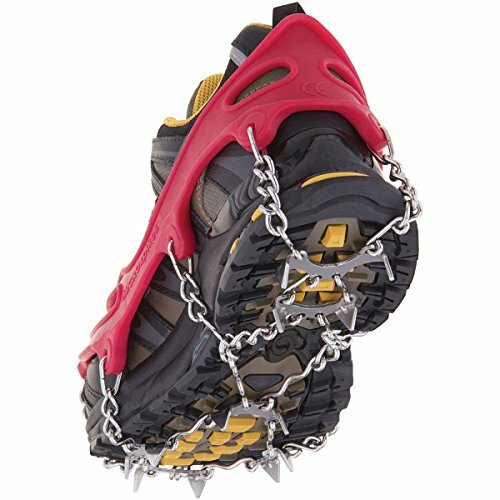 All in all, if you want one of the best ice cleats in this price range I would say that these Stabilicers are definitely worth a shot. As opposed to the cleats above, this Hillsound traction system uses spikes instead of metal plates. This may or may not be a smart choice depending on your needs. 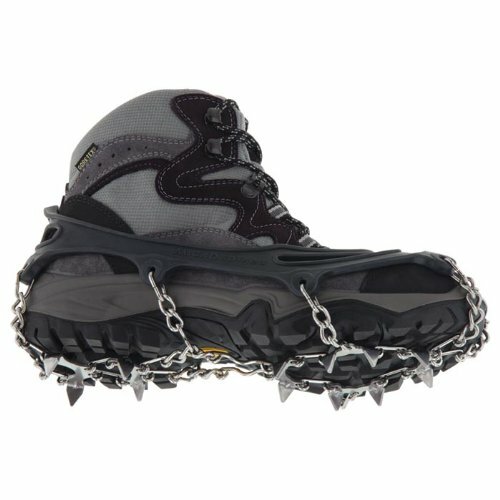 I would only use these cleats for ice and snow since the spikes might damage any other surface. The only aspect that I don’t like about this pair of cleats is the sizing. It’s rather confusing and it only features an extra large size. I like the harness because you won’t worry that the cleats will ever fall from your shoes. This is a big plus if you make any sort of extreme hiking or mountain climbing. While the previous model featured some huge spikes, the Kahtoola cleats have micro spikes. 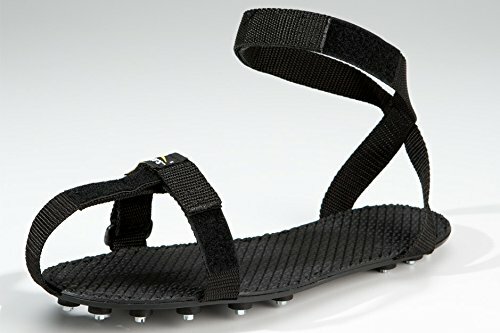 I prefer these because they are not that aggressive with the surface and I think they offer a better feel when walking. The quality is good, people love them, and the price is right. What else might you want from a pair of ice cleats? 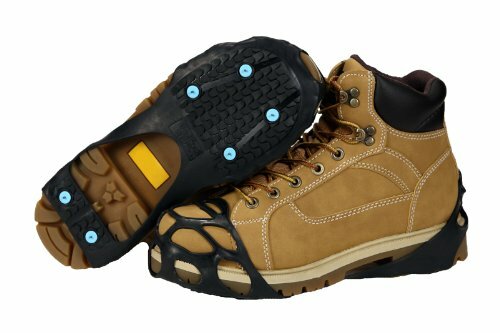 Yet another Stabilicers branded ice cleats, this pair offers an impressive value for your money. First and foremost, the sole is flexible and it has the form factor the same as the sole of your shoes, thus making for a great fit. I wouldn’t say the materials feel in any way premium, but rather average. However durability is probably not going to be a concern as long as you do not practice any extreme sports or climb the Himalayas :). Considering the price however, these are making for a great purchase. These are the same Kahtoola ice cleats like the ones before only medium size and colored in red. I like vibrant colors more, but that is just my opinion. 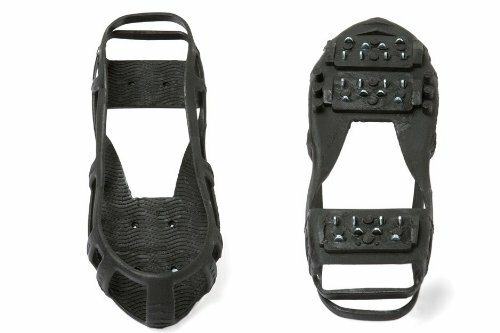 If you care less about fancy features and build quality and you simply prefer affordability above everything then this is the pair of ice cleats that might fit you best. The cleats are very easy to put on and take off because they were designed to be simple in the first place. The 6 circular spikes are smaller than the previous models although they offer a good grip. I am not a fan of the rubber material but I can live with that. The fit on the boots is also not one of the best but again, you can’t really expect perfection at this price. Again, if all you want is a pair of cleats to do their job whenever on ice or snow then here you go. They might not be the absolute best ice cleats in the market but when you take into consideration the price then they represent a great choice.